The University of Southern Queensland is a dynamic university dedicated to providing quality degrees and programs in a flexible and supportive environment. In over 50 years, USQ has become a prominent teaching and research institution, providing education worldwide from three regional locations: Toowoomba, Springfield, and Ipswich. We also have an outreach hub located in Stanthorpe. Our students are taught by lecturers who are leaders in their fields, who, like our programs, stay up-to-date with the constantly changing face of the industry. We are proud to be No. 1 in Queensland for graduates in full-time work (Graduate Destinations Survey, 2014-2016). Regardless of whether our students study online or on-campus, our focus is to provide them with personalized support. Each student has access to USQ’s Student Relationship Officers (SROs) who can support them through their learning journey. The programs offered at USQ are designed with the aim of preparing industry-ready, internationally recognized and qualified graduates. At USQ, you can study at diploma, undergraduate, postgraduate and research levels. You can also take advantage of our Professional Development Single Courses, pathway programs, and English language courses to enhance your career. USQ Toowoomba is the original university campus and is well equipped with a wide range of facilities catering to a range of student needs. The largest of USQ’s three campuses regarding its size, USQ Toowoomba offers the full on-campus experience with residential college accommodation and a great range of student life activities complementing the academic program. 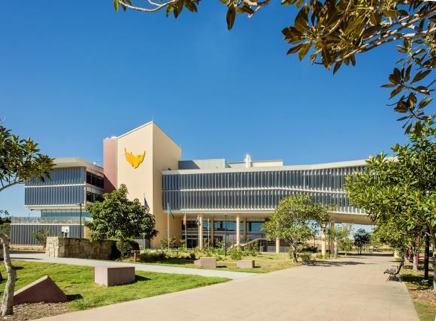 USQ Toowoomba is located in one of Australia’s largest inland cities, just a one hour forty minutes’ drive west of Brisbane and close to Toowoomba Wellcamp Airport. USQ also offers a free daily intercampus shuttle bus service between USQ Toowoomba, USQ Springfield and USQ Ipswich, giving students more options and flexibility to attend classes depending on their needs. USQ Springfield is a fresh, modern campus located in the heart of one of Queensland’s fastest-growing regions. USQ Springfield offers a broad range of undergraduate and postgraduate options in a vibrant setting just 25 minutes from the Ipswich CBD, 45 minutes from Brisbane city and an hour from the Gold Coast. A hub for digital production and performance for the University, the campus includes an industry standard broadcast television and radio production facility and rehearsal spaces, as well as collaborative teaching rooms, brand-new laboratories. USQ Springfield’s world-class flight simulator is the first of its kind in Queensland. USQ’s simulator is a narrow body jet, where aviation students can replicate an entire flight, both regular and abnormal scenarios while completing checks and procedures. USQ’s Ipswich campus is on a heritage site in one of Australia’s oldest cities. We’ve been part of Ipswich since 2006, and as the region grows, we’re expanding our commitment to the region. USQ Ipswich’s leafy campus has grand vistas across the city as well as a stunning library featuring a living rainforest. The campus is 55 minutes from Brisbane city, an hour and 15 minutes from the Gold Coast, and is accessible via public transport. Home to USQ’s School of Health and Wellbeing, USQ Ipswich includes custom-built paramedical training facilities and new clinical nursing laboratories, sports fields, a café and a gym. With online study at USQ, it’s easier than ever for a study to fit in with your life. We are focused on student success, so we make it easier for you to fit our career-focused, fully-accredited degrees into your busy life. In fact, we are the number one university in Queensland for graduates in full-time work (Graduate Destinations Survey, 2014-2016). You can study part-time or full-time, or change your study load as life changes for you - your classroom is as close as your computer. Our students who choose to study online are very much a part of our on-campus communities and are very welcome to be on-campus with us as well as take advantage of the wide range of facilities and support services that we have to offer. Online students can access their flexible online classroom which allows them to choose where they study when they study, and even how they study. It’s no wonder that over 75% of our students choose to study through this mode. USQ is committed to performing research that is not only of academic relevance but is engaging with industry and our stakeholders and contributing to innovation that benefits our communities, the nation and beyond. We are internationally recognized for our work in future materials and composites, working closely with international industry partners and other research institutions, to determine viable environmentally friendly solutions to some of the world’s largest commodities. USQ is also rapidly emerging as a global research leader in agricultural systems and the management of sustainable rural landscapes, with research in the fields of environmental sciences, computational and mathematical sciences, agricultural sciences, and engineering. International research projects in Asia are helping improve irrigation, vegetable production, and coffee trading, among others. From superfoods to regional cancer survival, our researchers are working to improve the quality of life for all through our health research. Projects include addressing the unique needs of regional and rural populations with research covering health systems, science, and technology, access and care, infrastructure and innovation. USQ researchers are also investigating the potential for functional foods to reverse human obesity and chronic inflammatory diseases, providing the foundation to ultimately deliver optimal health benefits to reduce the risks associated with chronic lifestyle disorders. Postgraduate research students at USQ have access to a wide range of facilities and are mentored by our researchers and partners, to foster a dynamic and rewarding environment. USQ’s innovative Higher degree by research (HDR) programs broaden students’ horizons and prepare them for challenging careers in their chosen fields, to enhance their employability and innovation skills. 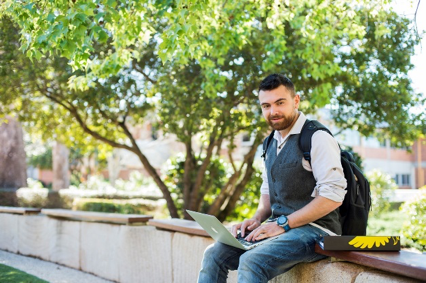 Whether you have studied business before, have relevant professional work experience without studying, or have studied an un-related area, USQ’s Graduate Certificate of Business can expand your career prospects with a postgraduate qualification. The Graduate Certificate of Education provides flexibility for students to select courses that best advance their applied knowledge and skills in relation to advancing their careers. The Graduate Certificate of Education also provides a pathway into the USQ Education Master’s portfolio. Depending on their specialisation, graduates will have career opportunities to work as professionals in education; training and development; career development; educational leadership; digital learning; adult, profession and workplace learning; and tertiary education. Learning does not stop once we leave school. It is now an intrinsic part of the contemporary work environment. There is a growing demand for educators who are able to design, implement and deliver a range of learning opportunities for adults in the workplace and the wider community. USQ’s Graduate Certificate of Education (Adult, Professional and Workplace Learning) provides the opportunity for you to study facilitated learning outside of school settings. Designed to tap into your work environment, with learning that is relevant and useful, this degree enables you to complete a work-based project for assessment. USQ’s Graduate Certificate of Education (Career Development) is ideal if you work in teaching, counseling, training, employment or community development roles and support the career planning and development of students, clients, and organizations. This graduate certificate is for new and experienced practitioners looking to focus on big-picture issues in career development, including policy, employability, and learning. Are you wishing to extend your teaching career into the field of Guidance and Counselling as a guidance officer, guidance counselor or school counselor? The Graduate Certificate of Education (Counselling in Educational Contexts) will help prepare you to make this transition. USQ’s Graduate Certificate of Education (Curriculum and Pedagogy) is ideal for existing and aspiring education leaders who wish to enhance their knowledge of curricula development and pedagogical practice in contemporary educational settings. After completing the Graduate Certificate of Education (Curriculum and Pedagogy) with a minimum GPA of 4.0, you will have the option to take the credit from your studies and go on to complete the Master of Education (Curriculum and Pedagogical Leadership). The Graduate Certificate of Professional Studies specifically designed for professionals to develop their skills and gain a postgraduate qualification while maintaining their current employment position. Looking to extend your career opportunities or undertake specialised postgraduate study in business? With a wide range of specialisations, or the ability to tailor a degree to suit your interests, USQ’s Graduate Diploma of Business gives you the opportunity to align your study interests to areas that best support your business career aspirations. The Graduate Diploma of Business’ flexibility also provides you with the option to choose two specialisations. USQ’s Graduate Certificate of Education (Applied Linguistics) is ideal if you work with second language speakers and their communities, or in the fields of speech therapy and pathology, allied health, psychology or training in a variety of settings that requires skills in communication management and cross-cultural interaction. 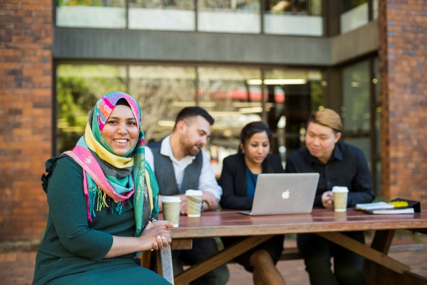 This four-course degree, allows you to enhance your knowledge and skills as a facilitator of learning in second language contexts and to critically reflect on language-related issues.